Crossing the street in China can often have nothing to do with whether a light is red or green. Instead, people crowd onto the curb until it reaches critical mass, and off they go -- traffic or no traffic. In order to solve the jaywalking problem, police in one region of the country of 1.4 billion people have come up with a solution: social media shaming. Police in the southern city of Guangzhou, China, recently set up a testing site at a traffic intersection near a subway station, the local Guangzhou Daily newspaper reported. Pedestrians who crossed the street without a green light would be stopped and asked to post their misdemeanor on popular Chinese social media platform, WeChat, according to the paper. 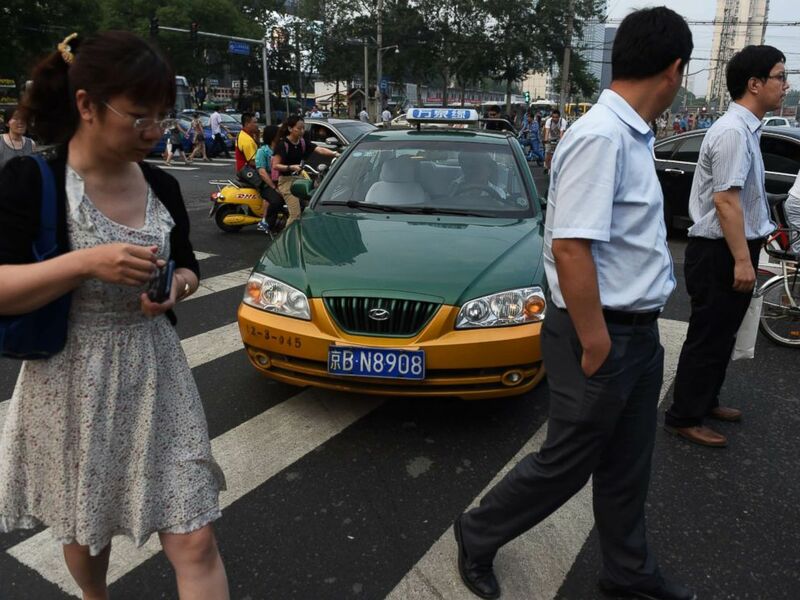 Pedestrians dodge around a taxi at a crossing in Beijing on June 10, 2014. Offenders have to write up the details of how they broke the traffic rule, along with a picture, and the hashtag “Start from me to follow the traffic rule," according to Guangzhou Daily. Police will let the offenders go once they share the post to 10 chat groups, or gather at least 20 likes, Chinese media reported. Offenders can instead choose to watch a three-minute long educational video in front of an LED TV screen police set up by the side of the street, according to the reports. 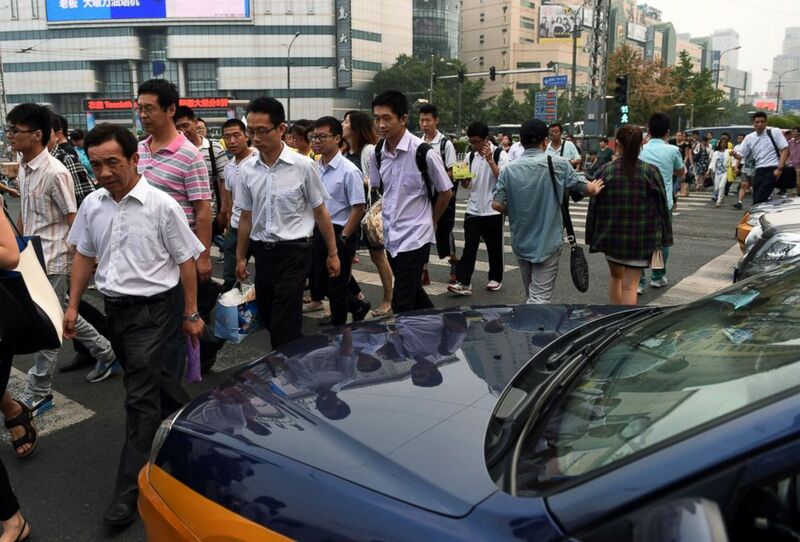 A taxi driver squeezes past people on a pedestrian crossing in Beijing on June 10, 2014. According to Chinanews, the number of offenders at the traffic intersection have dropped by half in 20 days.